Mama had sent me to get ekor from Mama Dami’s place. She told me to hurry as it was breakfast for everyone. I quickly went out in the knickers and red top I already had on and did not bother with slippers as I did not have any that was not cut or chewed off by the ground so that there was hole where my heels were supposed to rest as I walked. I should have taken the bush path, if only for Papa’s sake. He was ill and needed to take the drugs prescribed by the pharmacist, whom we all called “Oga Chemist”. He lived just down our street. “Give him this one in the morning” Oga Chemist had said in our local dialect. But after we left his shop, he called out to our backs in pidgin, “Make e chop before e take am o”. Mama did not acknowledge the message, so I felt comfortable yielding to the temptation to take the long way. “I am sure Oga Chemist’s advice wasn’t that important. And I am sure nothing will happen to Papa if he does not eat on time.” I thought, trying to convince myself as I hopped down the dusty road that called out to me. There was a reason I liked to go through that road. I wanted to see different people who looked important. Perhaps, if I walked with them I might look important too. 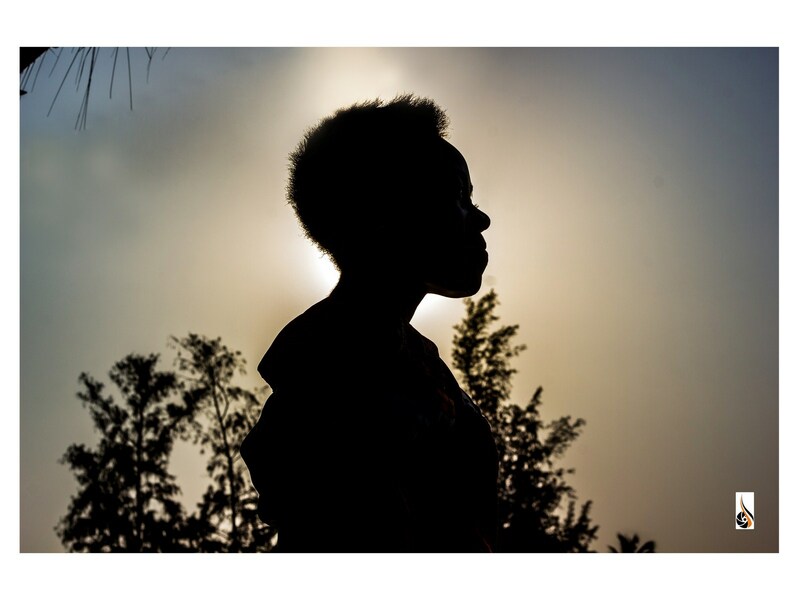 I saw Yinka – a neighborhood girl, a few years younger than me, taking her brother to school. “Maybe I should walk with this one; I might now look like a student”. I said to myself, as I raised my head a little higher with pride, imitating a stance I imagined to be important. Engrossed in my reverie, I was jolted back by the piercing sound of bicycle bells. It was the palm wine brothers. They had a peculiar way of ringing their bells so everyone, especially the petty traders would know they were around and buy palm wine from them. For some time now, I have had eyes on Femi – the eldest of the brothers. I liked the way he slung his palm wine keg away from his left shoulder effortlessly, whenever he stopped to sell to a trader at the market place. But he never seemed to see me because I always admired from a distance. One time, I had tried to gain his attention. I pretended not to see him and ran into him from behind. Instead of the sympathy and concern I had hoped for, he scolded me like a little girl for running about mindlessly. Yet seeing him again made me want to follow him all the way to the farm. Unconsciously, my legs picked pace and walked along with my thoughts. My teeth beamed at the thought of watching him climb the tree all the way up. I giggled at the mere possibility of seeing him without a shirt. His broad back and muscle on display for me to see as he tapped the palm tree. “Yemisi!” I heard my name suddenly. I turned around to find my caller. It was Mama Dami. ” Where you don dey waka go again? Come take your mama ekor. Yeye girl.” she said, all in one breath, eyeing me suspiciously. I took the shortcut home, hoping Mama had not been waiting too long. But she had. She was waiting for me in front of the small opening that served as a door to our mud house. She was bouncing rhythmically on her right foot, her right hand perched above her right hip. I saw fire in her eyes; her face had squeezed into a frown. I knew that look. It was so familiar, dread ran through me. I immediately imagined the different ways I would be beaten. Yanking the bag of ekor from my hand, she pulled my right ear with her free hand. “Didn’t I tell you to hurry? What have you been doing since?” She queried. Sparing no time for an explanation from me, she rushed in to serve Papa his breakfast. I tried hard not cry. But I sulked. I had my usual breakfast of ekor and empty stew in silence, then made my way to the corner of the room, where I let myself dream more of what Femi’s back would look like under the glint of the sun.